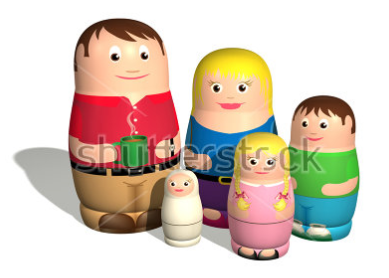 Quiz time: Where are the controversial immigrants coming from? Emotions are running high … and polarized positions are hardening. Seems like a good time for a map test, right? Where are the controversial immigrants coming from? I’ll give you a hint: Central America via Mexico. Can you name the countries? Better yet, can you spot them on a map? 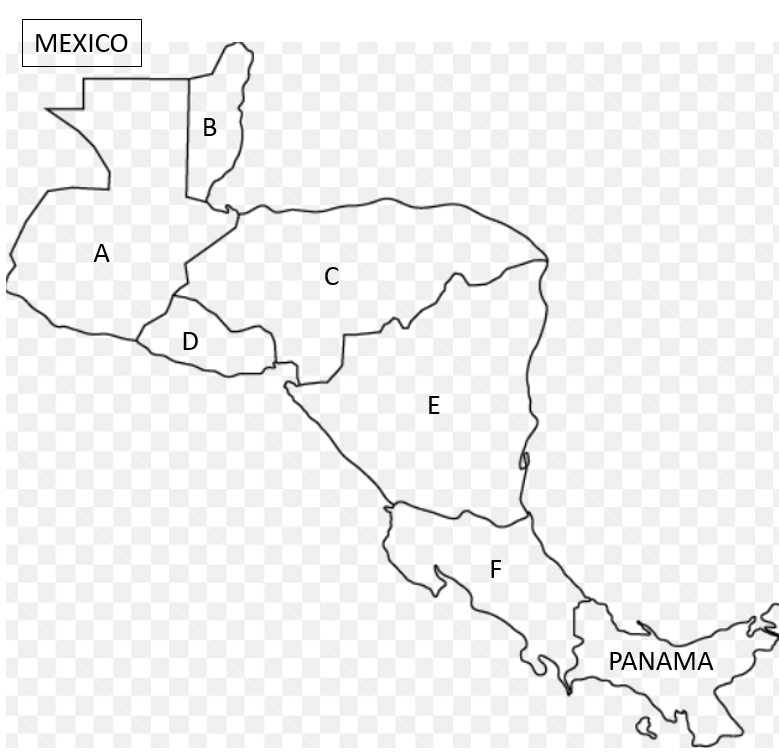 Below is a map of Central America with countries tagged A to F.
Take out a piece of paper, write down the letters and the county names. Don’t just “imagine” the names … write them down. ‘Laurel’or ‘Yanny’? ‘MS-13’ or ‘All’? There’s an interesting parallel, and a lesson for all. In a nutshell, a 1-word audio loop is played … some folks hear the word ‘Yanny’, some hear ‘Laurel’. Click here if you haven’t heard the audio clip. And, there are over 100 million of them. 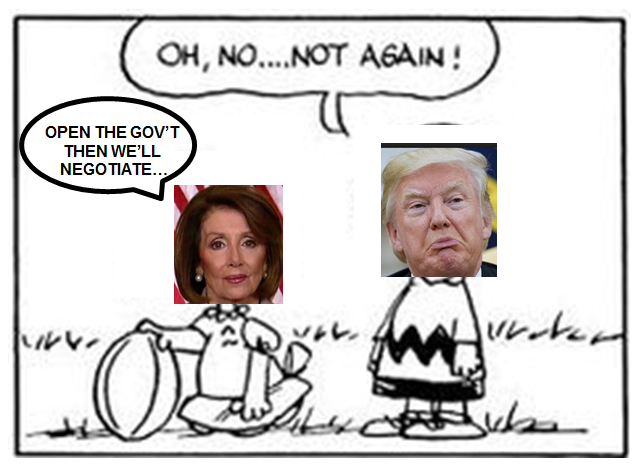 Disclaimer: I’m not a Trump fan because of his incivility (bad role model for kids), unpredictability (I have no idea where he really stands on any issue except “the wall” – and I’m betting the under on that one), and temperament (though I wonder why the U.S. should be the only country that doesn’t have a wild man with their finger on the nuclear button – why not round out the roster?). That said, I’ll fill in his circle on the scantron ballot if it’s Trump vs. Hillary in Novemeber. I have much sympathy for his constituency of victims: lower and middle class working class folks … with emphasis on “working”. 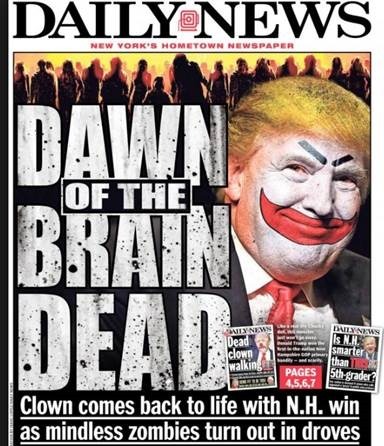 You know, the folks that the press likes to brutally characterize as “brain dead, mindless zombies”. In his article, Mr. Kotkin more charitably coins them as the “precariat” — people who are working, many part time or on short-term gigs, but lacking long-term security. New study: Don’t blame the immigrants. American workers might want them back. This is because new studies have found that immigrants have a positive impact on the economy in the long run. Of all the economic dynamics buffeting the American middle class, immigration might seem the easiest to explain: as millions of poor immigrants from Latin America poured illegally into the country … they displaced American Workers from their jobs and undercut their wages. But this typical explanation of the impact of immigration is mostly wrong. The most recent empirical studies conclude that the impact is slight … they suggest that immigrants have had, at most, a small negative impact on the wages of Americans who compete with them most directly. Meanwhile, the research has found that immigrants … have a big positive impact on the economy over the long run, bolstering the profitability of American firms, reducing the prices of some products and services … and creating more opportunities for investment and jobs. Those nostalgic for strawberry fields harvested by well-paid Americans ignore the fact that without the cheap foreign labor, there might not be American strawberry fields. After an immigration audit of its payrolls, burrito chain Chipotle Mexican Grill lost 450 of its roughly 1,200 employees in Minnesota. Now it’s dealing with the aftermath— rising turnover – as workers concerned about their documents might have decided to seek employment elsewhere — and grumbling customers because of slower service from new employees. When you went in there before … the quality was great,” says a longtime Chipotle fan in Minneapolis. Other areas being targeted by audits include Virginia and Washington, D.C.
“It is very troubling for us to lose so many great employees,” said a company spokesman. Ken’s Take: “Slopping stuff together”? Isn’t a burrito – by definition – stuff that’s slopped together? I was cross-haired by two relatively hot political issues last week: voter IDs and proof of legal citizenship. Yes, your mild mannered (usually) man of the classroom … stood up on suspicion of unlawful conduct. An intimidating officer of the state demanded to see an ID and proof of citizenship. That’s right. In order to throw a mattress and springs into the landfill dumpster, I had to show my driver’s license and to produce proof of Anne Arundel County, Maryland residency. Fortunately, I may be the only person in Maryland driving around with paid real estate tax bills in my glove compartment. Yes, your mild mannered (usually) man of the classroom … suspected of unlawful conduct. So, an intimidating officer of the state demanded to see an ID and proof of citizenship. That’s right. In order to throw a couple of big cardboard boxes into the recycling grinder, I had to show my driver’s license and to produce proof of Anne Arundel County, Maryland residency. Fortunately, I may be the only person driving around with paid real estate tax bills in my glove compartment. Hey you – vacationer – show me your papers ! My son and daughter-in-law recently took advantage of some bargain travel rates and vacationed in Mexico. 1) Fill out a form stating their citizenship and declaring whether they were carrying stashes of livestock, yucca plants or pesos. 3) Answer a couple of clarifying questions (e.g. purpose of trip) after their passports’ bar codes were scanned to pull up their profiles from the Fed data base. Two lifelong American citizens flying back from a Mexican vacation into a city that’s several hundred miles away from the Mexican border … a city that’s not reputed to be high on the illegal immigration standings. They have to jump thru hoops to re-enter the country. But if – instead of a direct flight from Cancun to DC – they had come by truck across the Rio Grande, there would have been public outrage if they were asked to show an ID. Is it just me, or is that nuts ? 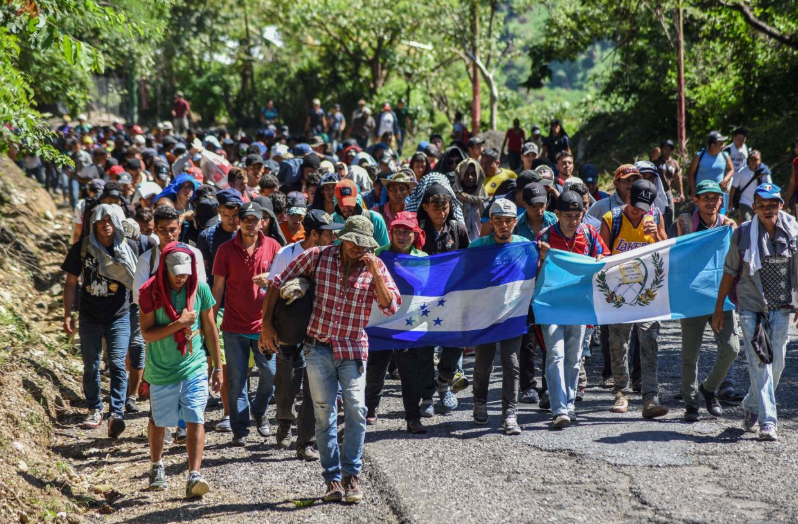 Senators Kyl and McCain proposed a ‘shore up the borders’ plan that called for deploying 6,000 National Guard troops to the U.S.- Mexico border. President Obama was reportedly non-responsive to the request during a meeting with the Senators, then immediately after the meeting, his office issued a press release saying 1,200 NG troops would be deployed to border patrol. I know Rahm & Axelrod are brilliant politicians, but I don’t get it. By committing any NG troops, President Obama is conceding that AZ is right and border security is an issue. So, why all the fuss ? Mexican President Felipe Calderon repeatedly teed off on the new Arizona law that makes illegal immigration a state crime and requires aliens to show documentation should a cop request it. Then he went on CNN. “Do Mexican police go around asking for papers of people they suspect are illegal immigrants?” asked Blitzer. Talk about shooting first and aiming later. AG Eric Holder has made cameos on new shows warning that the Arizona law enforcing U.S. immigration laws could lead to racial profiling, might prompt Latinos to stop cooperating with police, and might be unconstitutional — all “on the basis of things that (he has) been able to glean by reading newspaper accounts, obviously, television”. When asked by Rep. Poe of Texas if he had read the 10 page bill, Holder admitted “I have not had a chance to — I’ve glanced at it – I have not read it”. Note: the entire bill is only 10 pages long. Below is the video and a transcript. REP. TED POE: So Arizona, since the federal government fails to secure the border, desperately passed laws to protect its own people. The law is supported by 70 percent of the people in Arizona, 60 percent of all Americans and 50 percent of all Hispanics, according to The Wall Street Journal/NBC poll done just this week. And I understand that you may file a lawsuit against the law. It seems to me the administration ought to be enforcing border security and immigration laws and not challenge them and that the administration is on the wrong side of the American people. Have you read the Arizona law? ATTORNEY GENERAL ERIC HOLDER: I have not had a chance to — I’ve glanced at it. I have not read it. POE: It’s 10 pages. It’s a lot shorter than the health care bill, which was 2,000 pages long. I’ll give you my copy of it, if you would like to — to have a copy. Are you going to read the law? HOLDER: I’m sure I will read the law … I’ll spend a good evening reading that law. POE: Well, I’ve gone through it. And it’s pretty simple. It takes the federal law and makes it — enacts it in a state statute, although makes it much more refined in that it actually says in one of the sections that no state or subdivision may consider race, color, national origin in implementing the requirements of any subsection of this law. It seems to outlaw racial profiling in the law. I know there’s been a lot of media hype about the — the legislation. You have some concerns about the statute. And it’s — it’s hard for me to understand how you would have concerns about something being unconstitutional if you hadn’t even read the law.